The British Aerosol Manufacturers’ Association (BAMA) announced that it is accepting entries for its 7th Annual Awards, which will be presented at the association’s gala dinner on October 15. A total of £3000 ($4725) in cash prizes is available to the winners of two of the Awards’ categories. 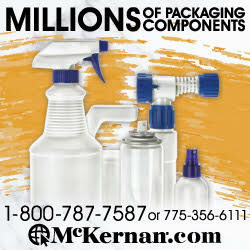 Nominees must be relevant to the development, filling or production of aerosol packaging. Companies engaged in any aspect of the aerosol industry in the UK may enter the Awards and apply to attend the gala dinner as long as they have applied for membership prior to September 7th. To download the entry form or for more information, click here.